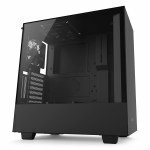 The Suppressor F51 window mid-tower chassis is the latest series to the Thermaltake case line. Featuring leading-edge sound reduction panels on all sides, expand your cooling options with removable panels for the perfect balance in silent operation and cooling performance. Supporting a range of motherboard platforms from Mini ITX to E-ATX solutions, unrivaled liquid cooling expansion and expandability for all high-end GPU solutions users can expect an enthusiast built design they can trust. Innovative 5.25" and 3.5" tool-free drive bay design minimizes installation/removal with hidden drive bays on the back panel to provide a clean look and improved expansion for liquid cooling components. The "2 + 6" drive bay with modular drive racks allows multiple SSD/HDD devices for improved storage capacity. With removable "2 + 6" drive racks, gain more for custom cooling components to freely interchange SSD/HDD cage sections for maximum interior space. Take advantage to include high-end, maximum capacity, cooling allotment without the reduction of GPU length limitations when incorporating liquid cooling expansion for the ultimate in cooling performance. 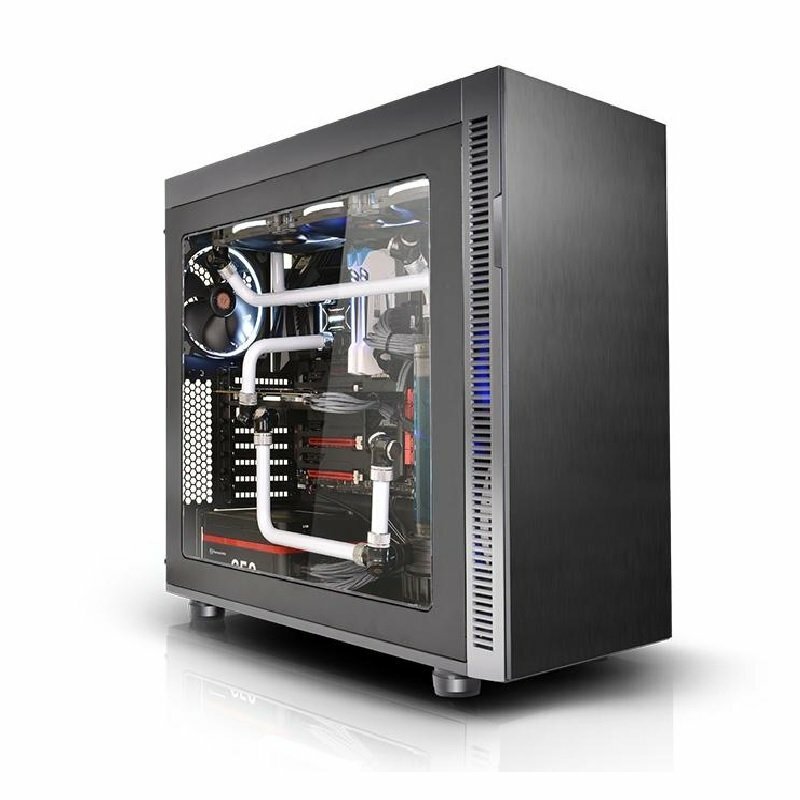 *Hidden drive bay allows expandability for more liquid cooling and still allows data drive mounting for a clean look. Super fine fan filters with excellent protection and reduction against dirt and dust on the top, inside the front panel, and at the bottom. Magnetic fan filter on the top simply attach the filter for dust filtration. Design with convenience and cleanness in mind, Suppressor F51 has built in fan speed control that supports up to four fans at the same time on the top-front panel together with dual USB 3.0 and 2.0, a HD audio connector, power, and reset button, grants a direct and easy access for external devices. Built-in sound-damping panels incorporated the top, front, and side panels of the Suppressor F51 chassis to reinforce noise reduction for silent operation. Optimizing cooling performance with removable mounted top panels to expand cooling configurations for both air and liquid cooling solutions. Design and build a custom leading-edge silent operation PC with options for 120/140/200mm cooling fans and liquid cooling support for single, dual and triple radiator applications. Thermal imaging camera was applied for the temperature test of the chassis. After the removal of all sound-damping covers from the top panel, Suppressor F51 dissipates heat more efficiently. The temperature decreases 2.6°C/36.38°F without any sound damping covers. 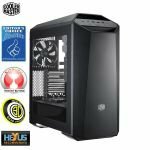 The Thermaltake Suppressor F51 Window enables users to build a complete high-end system that supports up to triple 120/140mm liquid cooling radiators or up to 200mm case fans. With extended graphic card support (up to 465mm), the Suppressor F51 simultaneously protects the hardware and increases the CPU's overclocking potential for users looking to get the most out of their hardware. Most importantly, the Suppressor F51 delivers outstanding cooling efficiency, reduced exterior noise and dust signatures for ideal silent operation. With power cover design, the entire bottom area can be used to reorganize unused cables, which makes for a tidy-looking system. Furthermore, the PSU cover can hold two additional 2.5" HDD drive bays.